In late July the children from our Young Achievers Program, which serves children from Kindergarten to age 13, visited Franny’s Farm in Leicester, NC. While touring the farm the children were able to interact with the farm animals, learn about harvesting honey from bee hives, and how crops are grown. To end their trip, the children hiked up a mountain to the old tree house on the property, a highlight of the day. Another favorite of the day was catching tadpoles in the pond. The hands-on experience for the children was eye opening and helped them overcome some barriers and fears. We have one 6 year old who has a fear of animals but by the end of the trip she was gently patting the nose of Daisy the donkey. We also had an 11 year old who everyone started calling “the turkey whisperer.” He could sit in the field of turkeys and they flocked to him. He was also able to hold a turkey with no problem. 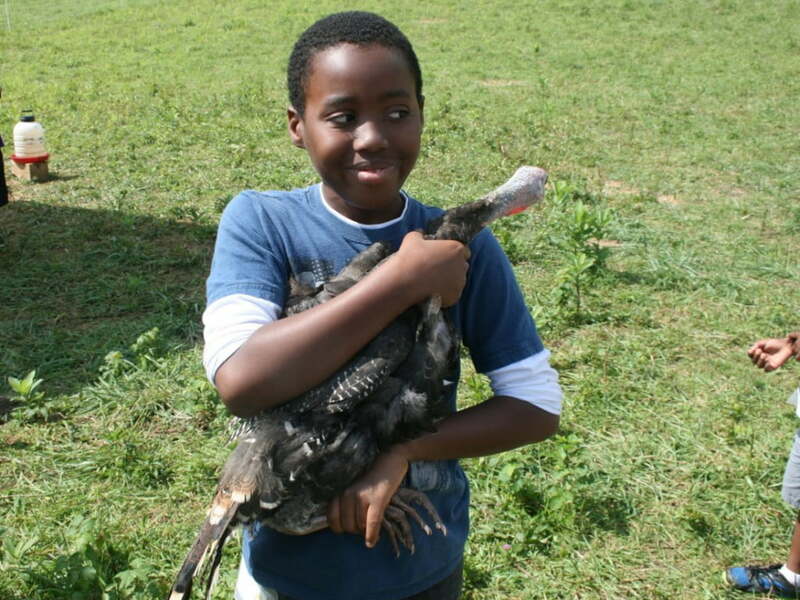 It was interesting to see how the children interacted with the farm animals because most of them are not exposed to that lifestyle and calling a turkey into the pen is something that is the farthest from their minds. At the end of the trip Franny sent the children back to school with onion roots for them to plant in the school garden. She also had fresh honey and homemade bread for the children to sample. While we weren’t able to purchase items to bring back to school and cook, the experiences of being out in the open and enjoying the animals made the trip priceless. The children loved the trip so much they have asked to revisit Franny’s on an upcoming Teacher Work Day. 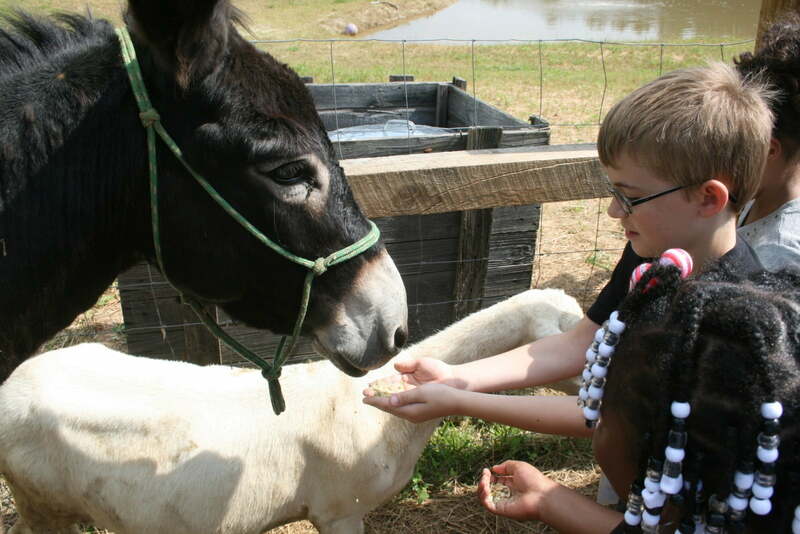 Interested in taking your own students on a farm field trip? Apply now for our Farm to School funding! Previous post: Growing Minds and Mills River Elementary head to McConnell Farm!